The grocery market here grew by 3.5% in the 12 weeks to February 24 as an upward trend in prices continues to make a significant contribution to growth. New figures from Kantar Worldpanel show that supermarkets cashed in from consumers spending Valentine's Day at home with sales of chilled ready meals and chilled desserts rising by 8.4% and 6.9%. Traditional gifts also benefited, with wine and confectionary sales increasing by 17.1% and 10.7% respectively. Today's Kantar Worldpanel figures also show that Dunnes Stores remains the biggest supermarket chain in Ireland in terms of market share for the seventh consecutive period in a row. 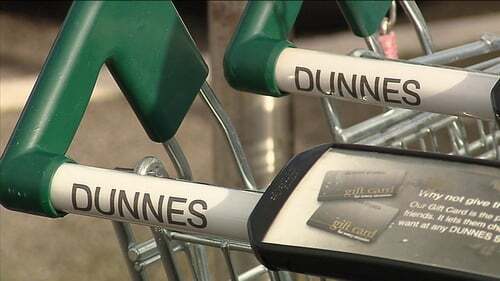 Dunnes had a 23% share of all grocery sales in Ireland, up slightly on the same period last year. Tesco was the second biggest in terms of sales with 21.6% of the market. Supervalu was close behind with a 21.3% share - though both saw their market share slip year-on-year. Meanwhile discounters Aldi and Lidl now account for 11.2% and 11% of the grocery market - with Aldi seeing particularly strong growth in the period. Douglas Faughan, consumer insight director at Kantar Worldpanel, said the continued growth of Aldi and Lidl has encouraged the three traditional retailers to up their "value credentials" by launching promotions such as Tesco's "The 800" campaign, Dunnes' "Everyday Savers" and Supervalu's "Fill your Trolley". Mr Faughan said that a stronger euro to sterling exchange rate has made imported UK goods and ingredients cheaper, allowing retailers to pass on some of those savings to Irish consumers. "However, with prices already rising as Britain's exit from the EU draws nears, increases are likely to continue for the rest of the year," Mr Faughan cautioned. He said that over €3.5 billion worth of food is imported to Ireland from the UK which means currency fluctuations can have a substantial impact on grocery prices," he added.